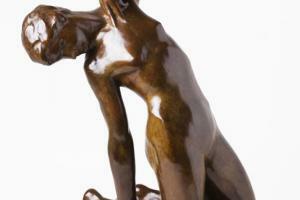 Both in his drawing as well as in his sculptures, Minne takes up again the theme of motherhood. From the period of the interbellum there are different variations known, carried out in various materials: bronze, granite and bluestone. Just as in the monuments that the artist developed, the figures barely escape from the stone from out which they appear to emerge. 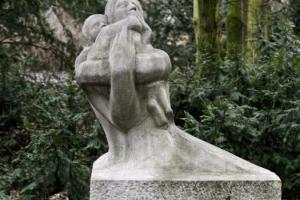 Also for a few monuments on assignment, such as the Emile Claus Memorial and the Queen Astrid Memorial, Minne chose the theme of motherhood. 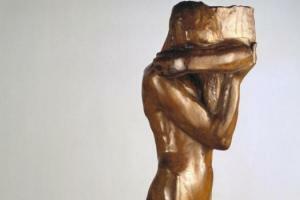 In all of the sculptures Minne no longer shows the social movement and tortured arts. They are more so the expression of a serene and harmonious state of being. In addition to the theme of motherhood, Minne received various religious assignments. Thus he develops a Christ King for the basilica of Koekelberg and a monumental bronze Christ on the Cross for the churchyard of Vorselaar. 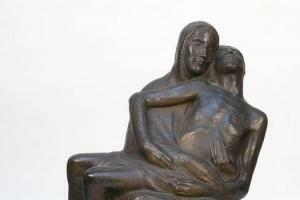 The theme of the Pietà and other biblical themes are again found primarily in his drawings. 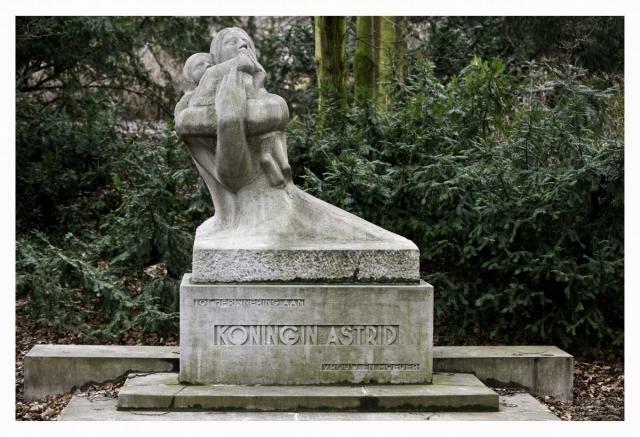 During the interbellum, Minne also makes replicas of earlier work, such as Mother Grieving over her Dead Child, Relic Bearer and the Fountain with Kneeling Youths. Some sculptures are, however, variations of an already existing theme, such as David from 1928 shows a similiarity with the Large Injured Figure (Brussels, KMSKB) from 1894. Minne also takes up the theme of the bathing woman, though in another pose. 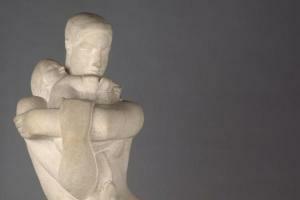 The replicas and variations are not very convincing: they lack the strength of form, the connection and the tension, as well as the suggestion of a secret, inner life, that give such a strong expression to his sculptures from before 1900. For the most part, the bronze replicas of Mother Grieving over her Dead Child and the Fountain with Kneeling Youths, the bronze sculpture of David (1928) and the different variations in bronze and marble of the Woman Bathing adhere closely to the graceful art-deco style.